Today’s Fitness Friday is courtesy of my girls over at Nashville Fit Style... Thanks to Crystal for sharing her favorite fitness-inspired gifts! #1 My favorite gift I have gotten this year has to be my Apple Watch. I just got the Series 1 because it accomplished the things I wanted it to do. I love it for monitoring your Heart Rate and counting calories while exercising. It gives you daily and weekly calorie burning and fitness goals. #2 Give the true gift of fitness by getting someone a membership to ClassPass. Check out my blog post on how this program has mixed up my fitness routine and made me try so many new classes: Class Pass Blog Post. Here is a Code for $40 off your first month. #3 If you want to get a spike in heart rate anytime, anywhere, try this Ropeless Jump Rope. Not only is this super easy to take anywhere, but I am a terrible jump roper, so this makes it much easier for me to get tripped up. #4 Water, water, water! I am a huge advocate for drinking as much water as possible every day. If this means adding a little flavor to help you do so, then by all means add some flavor! Give lemon or cucumber a try, since those are also diuretics. This Infusion Water Bottle makes it easy to give a little extra kick to your water. #5 The Clocky Alarm Clock is the best way to get you up and out of bed for those 5 or 6 AM workouts. This little guy will jump off your night stand and make you chase it to make sure you are up and moving. Its so hard to get motivated in the morning, especially when its cold, so let this nifty alarm clock give you a jump start! #6 For the Yogi in your life, check out a Yoga Mat Carrier. 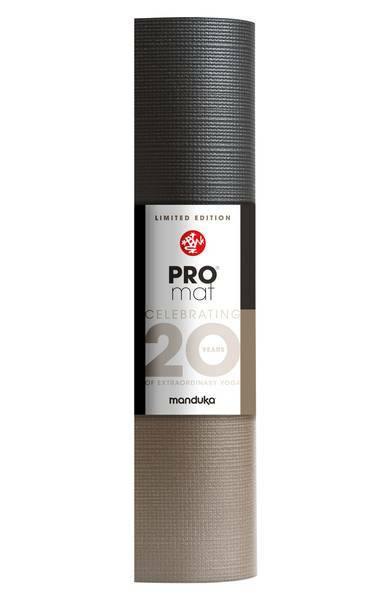 This makes it so convenient for you to grab your mat and go, and not have to always re-roll your mat up. You can use the code CRYSTALJAR50 for 20% this or anything on Carbon 38 website. #7 Here is one of my favorite and functional Yoga Mats. #8 I have tried every dry shampoo on the market…literally. Amanda got me on the Dry Bar Dry Shampoo, and it is really the best one. Great to pack in that gym bag to get your hair back on point after those workouts. #9 These Invisibobble Hair Ties are the best things I have found to keep the crease out of your hair. I have super thin hair and it works great even on me! #10 Its all about that bass and music motivation to get your workout going. Bose Headphones are the best way to get you moving. To read more from Nashville Fit Style, click here!